I am going to give you a quick look around my new room! Throughout the room there will be many freebies, products, and affiliate links for things I use in my classroom! Feel free to recreate any of the ideas! 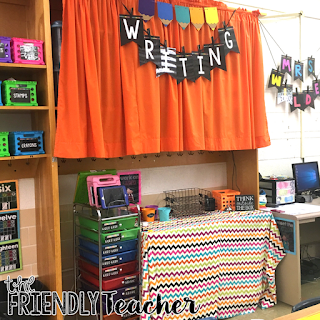 I put my desk up against the wall in my teaching area! I always add a banner with my name (my banner is located here). 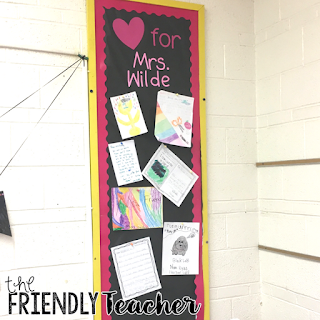 I also have a weird bulletin board behind my desk, so I used my circuit to cut out “Love for Mrs. Wilde”, this is where I will place all my letters and pictures from students throughout the year! 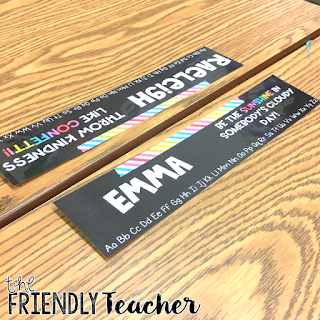 I use these easy name tags for my students! 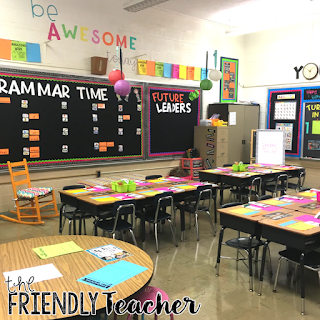 They are Velcro so students can easily move around! 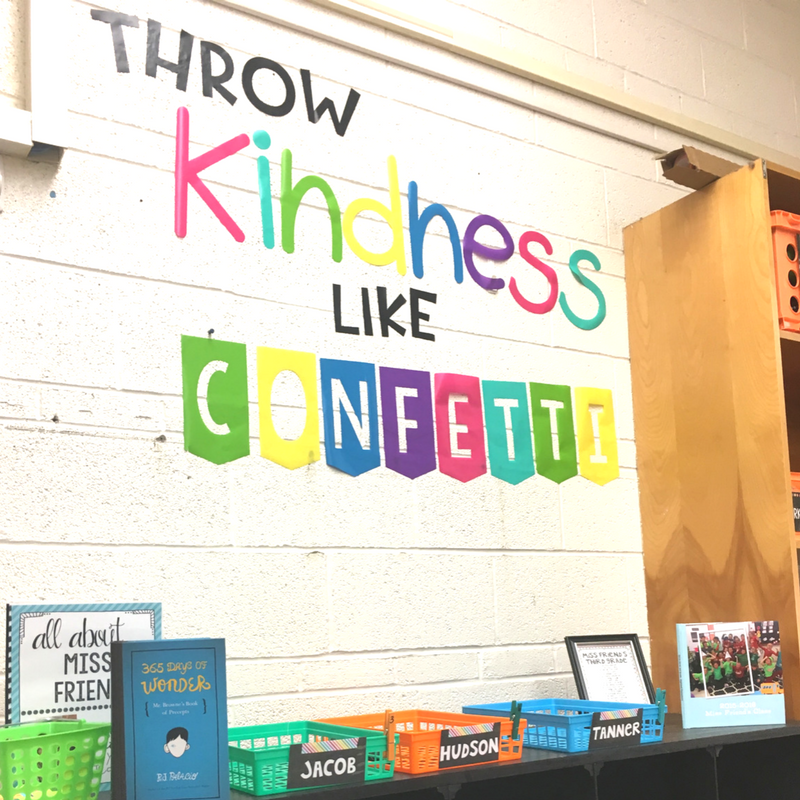 They have positive quotes to remind my students to be kind and positive everyday! 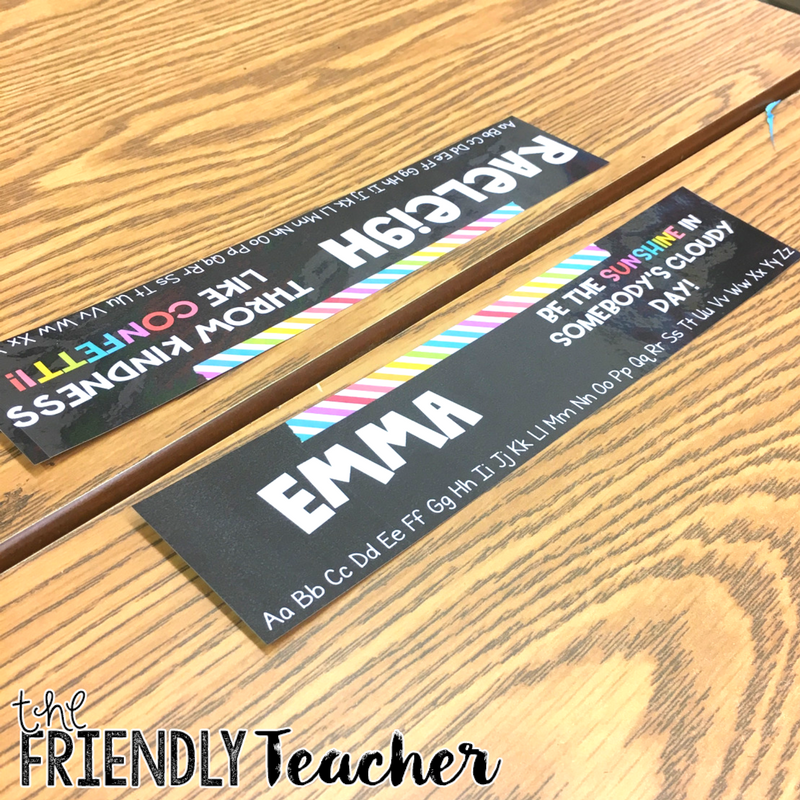 You can find editable name tags here! For guided reading, each of my groups has a bin. In the bin, I put the books they are using and any materials that I will need for that group. 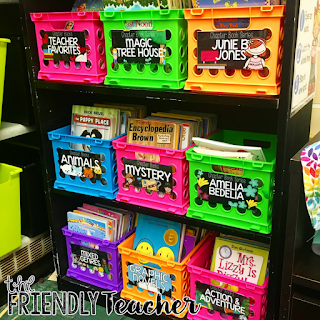 It makes it very easy for the kids to grab the materials and for me to stay organized. You can find the labels for the bins for free here! 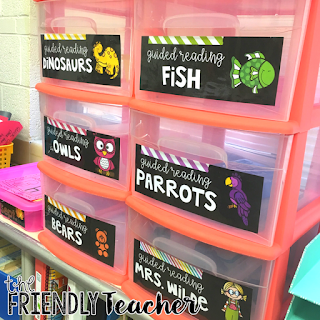 You can also read about my reading toolbox here! For my library I organize all of my books by genre and subjects. This is easy for my littles to find what they want! I use these labels here! 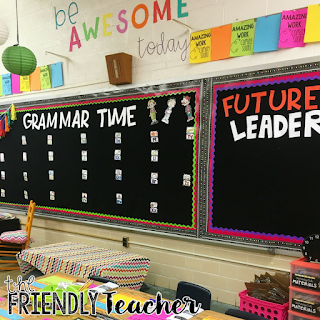 For my word wall I will color code the words based on part of speech. 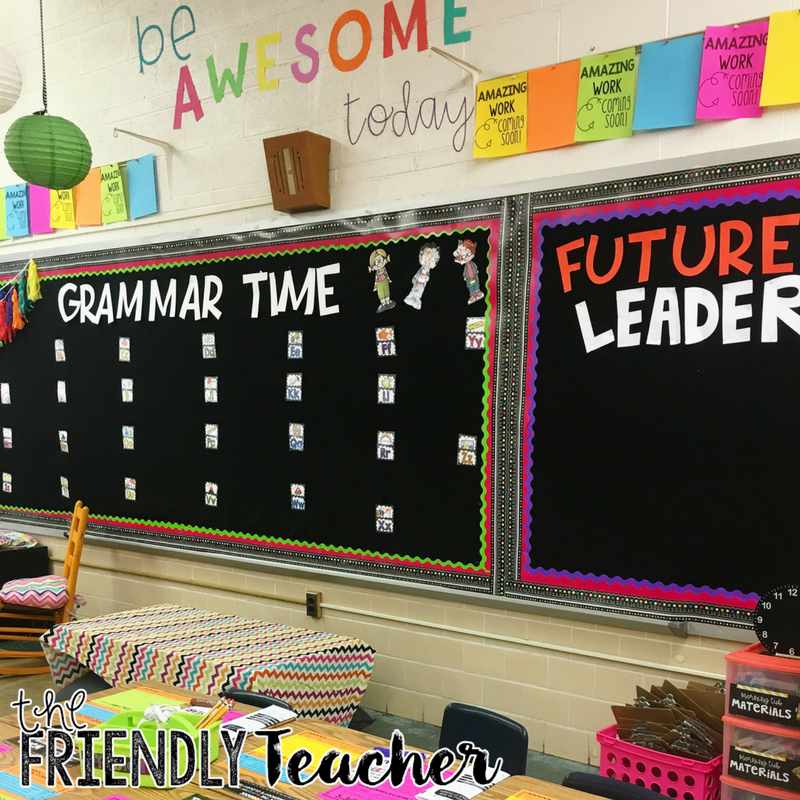 You can find the grammar wall here! 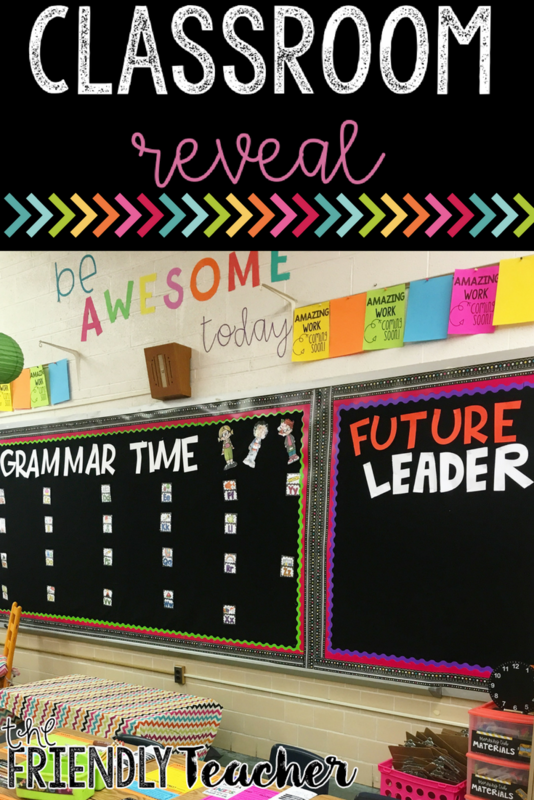 For my future leaders board, the students will take a picture on the first day that states what they want to be when they grow up. 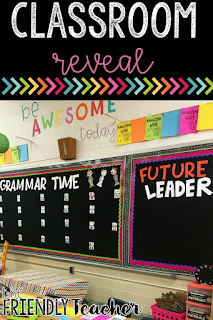 I will put that picture on this wall to display that they are a future leader! My Be Awesome Today and all my letters are using Amy Grosbeak fonts and are cut out using my circuit which you can find here! It is so worth every penny! I use a Turn-In board to organize the way my students turn in their assignments. I will place an extra copy of the assignment on the number of the turn-in board. 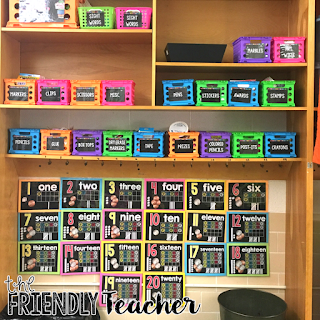 My students will look at the number and go place their paper in that bin. They will highlight their name on the paper in the bin so that I know they turned it in! This makes it SO much easier for me to see who turned in the assignments and I do not have to sort through the papers anymore, I just grab the stack. 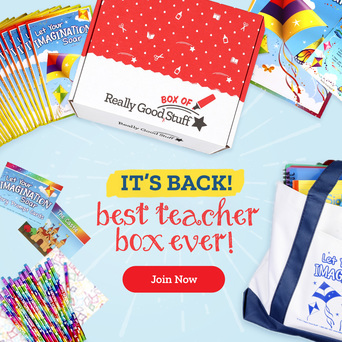 You can find an article from the Peppy Zesty Teacherista about this system here! 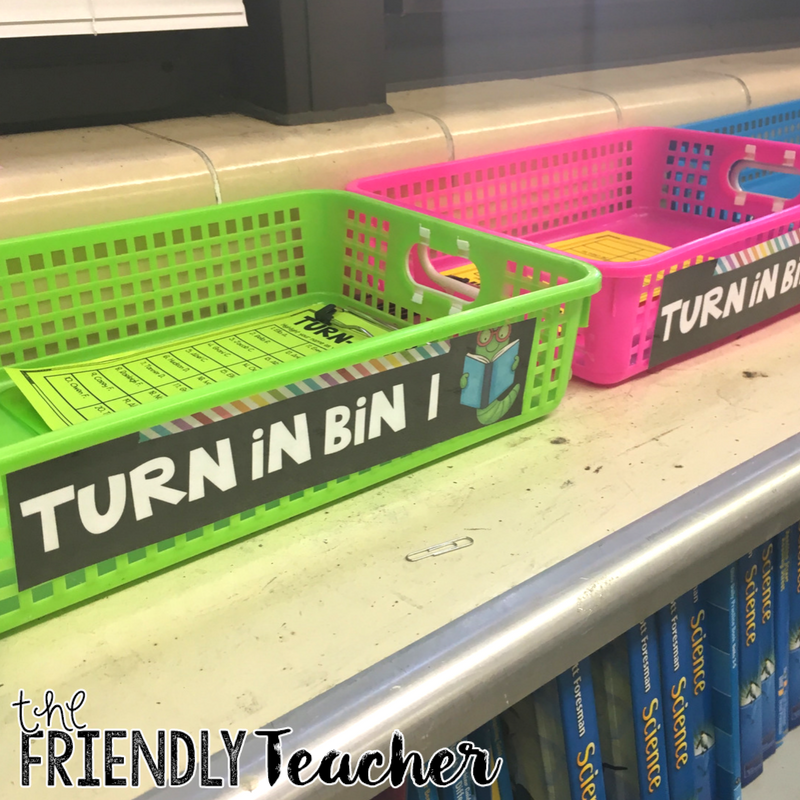 This article includes the turn-in template! 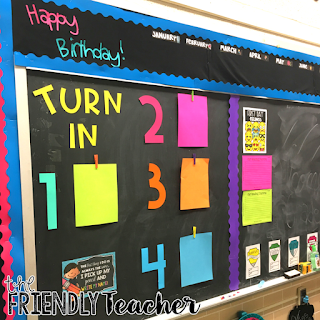 For birthdays I have the kids color a big number for the day of their birthday on the first week of school. Then, everyone who has a birthday in that month will bring their number up and take a picture together holding their numbers. Then, I print the picture and add it under the month. 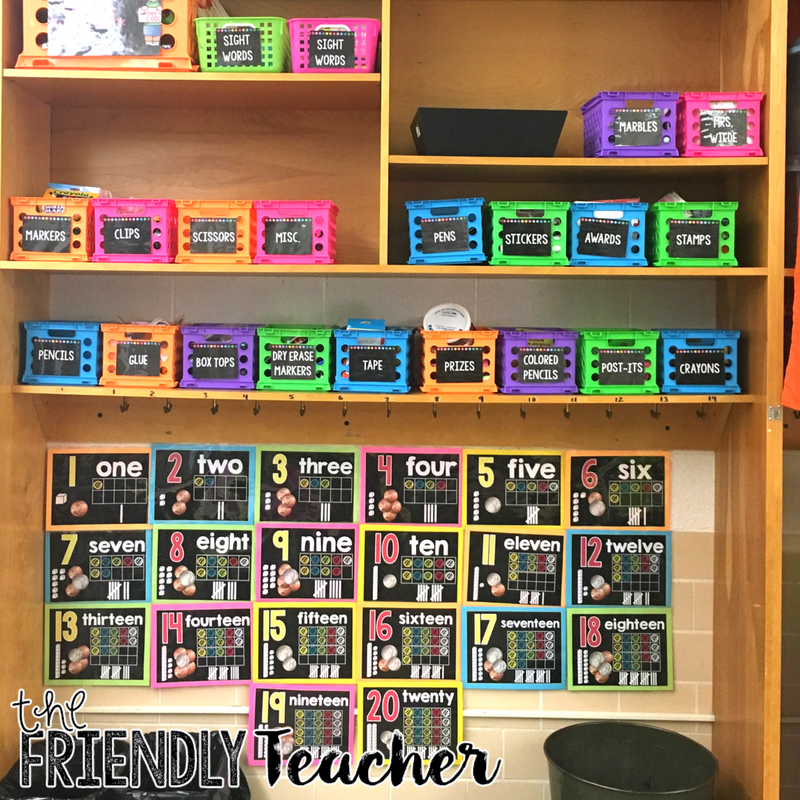 You can find the month labels for free here! 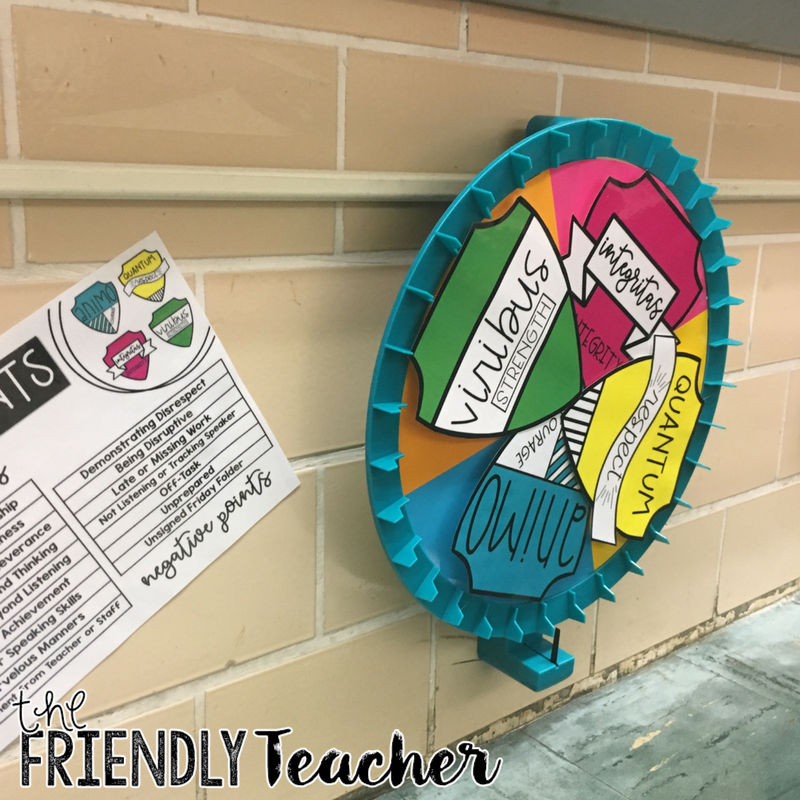 You can read more about this classroom management plan which Miss 5th Adapted from the Ron Clark Academy here! You can find the spinner here! 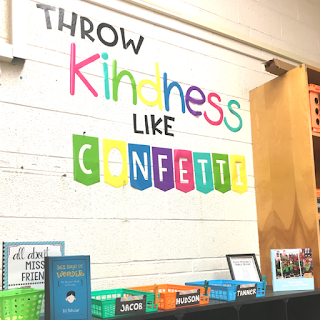 For my “Throw Kindness Like Confetti” board the students will be talking each day at the end of the day about an act of kindness, tolerance, acceptance, or equality that they saw. We will write that on a piece of confetti and then add it to the board. By the end of the year we will have a wall full of confetti! I organize all of my supplies in these bins from Walmart. I label them using these labels here! I also added these numbers below for a extra pop of color! 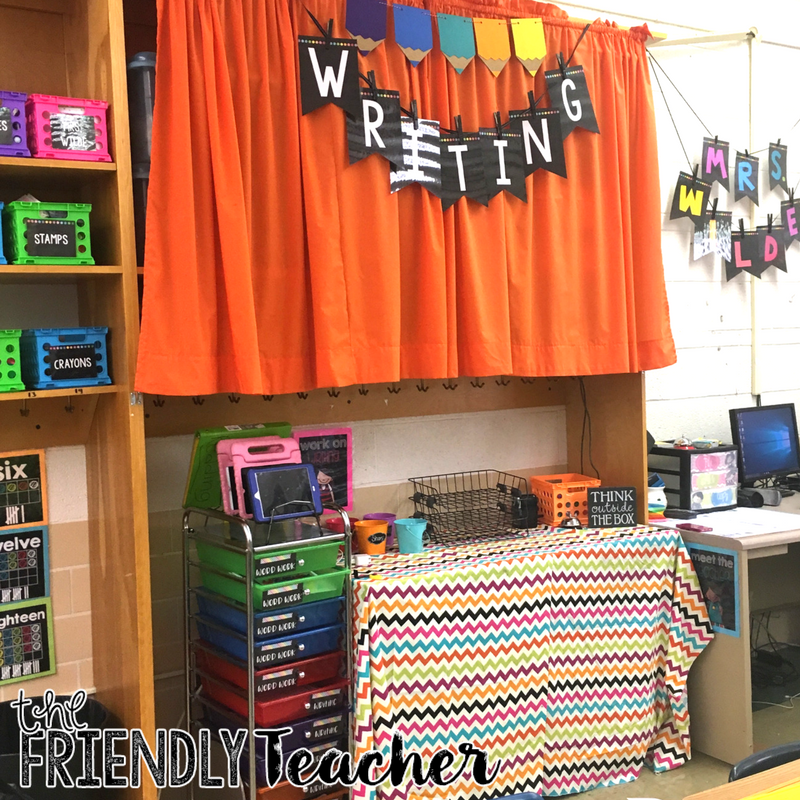 I organize my writing, word work, and listening centers here! I use these for my word work centers and I often switch out writing with different prompts! For listening, my students use the iPads to listen to books on EPIC! All of my centers are organized in another 10 drawer cart! 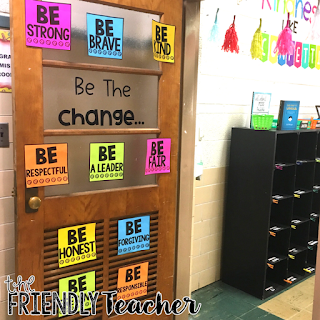 My back to school door this year was simple! 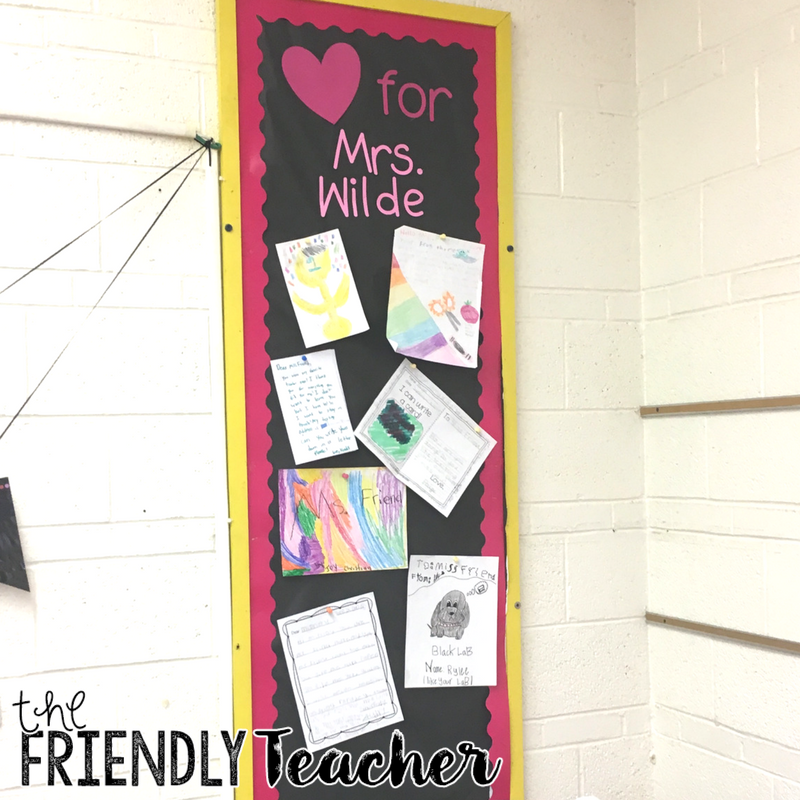 I added this bulletin board set on bright paper for a easy but cute board! 1. How do you cut your letters? I cut all of my letters out using my Circuit. I will use vinyl or just card stock to cut them out. This was one of my best purchases! You can cut out anything and it saves you so much time! You can find what I use here! 2. What fonts do you use for your letters? 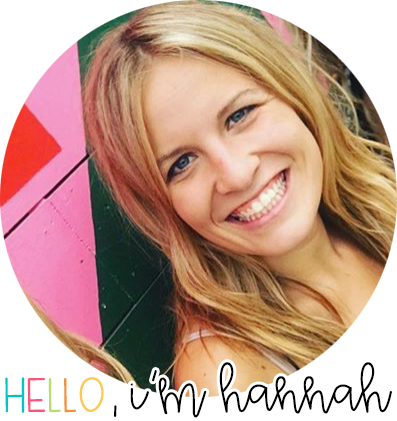 I use Amy Grosbeck Fonts, Babbling Abby Fonts, and KG Fonts! 3. 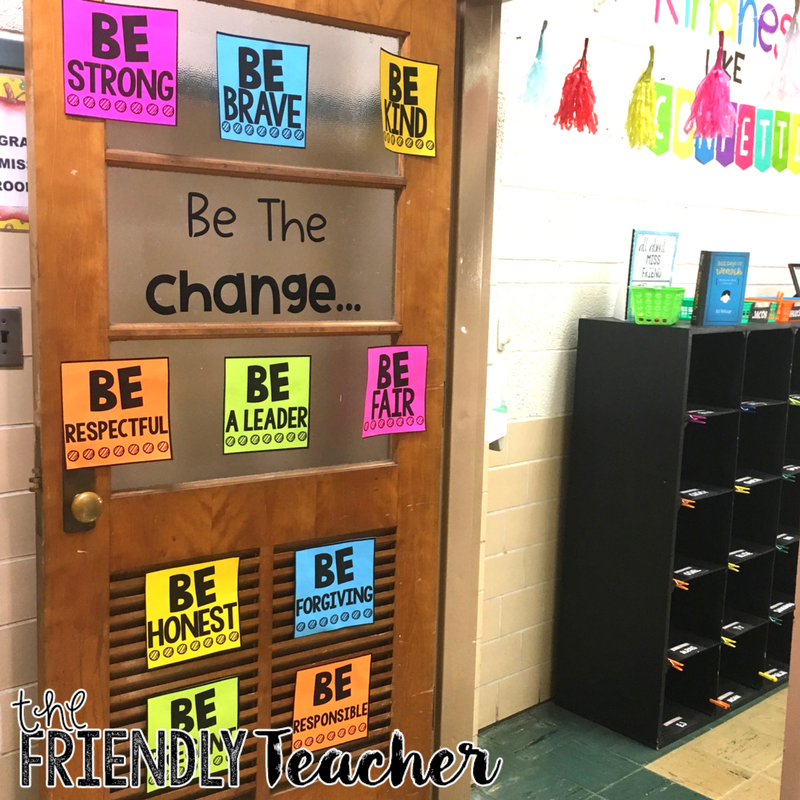 How do you put up your posters and letters? I hot glue EVERYTHING! It comes off the wall so easy and it stays up all year! 4. 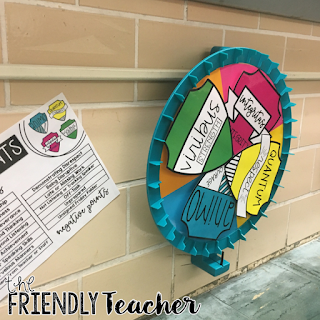 Do you use flexible seating? Yes! 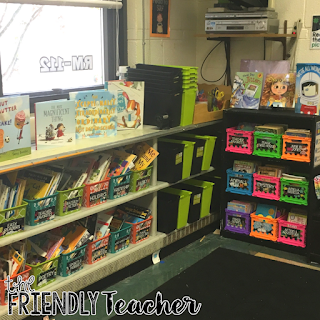 My students may sit where ever they want but they have a home base to return to. I have stools, pillows, different chairs, a sitting table, a standing area, and exercise balls! « A Day in the Life of a 3rd Grade Classroom!